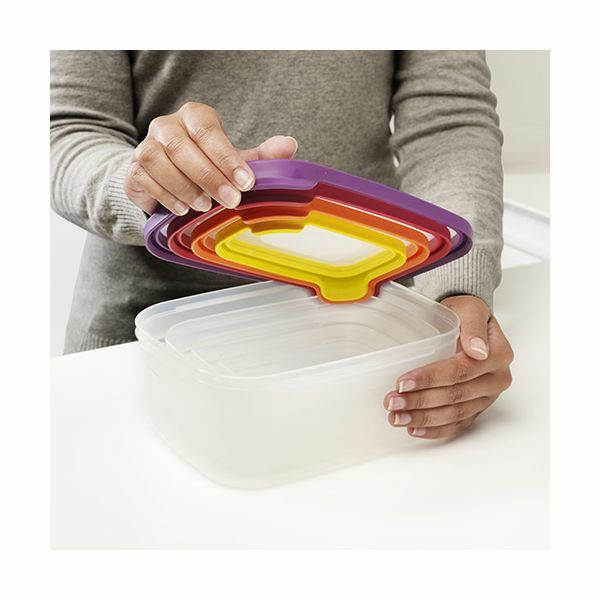 The problem with most sets of storage containers is that they take up precious cupboard space when not in use and usually require lids and bases to be stored separately. This can make pairing the corresponding components a real hassle. 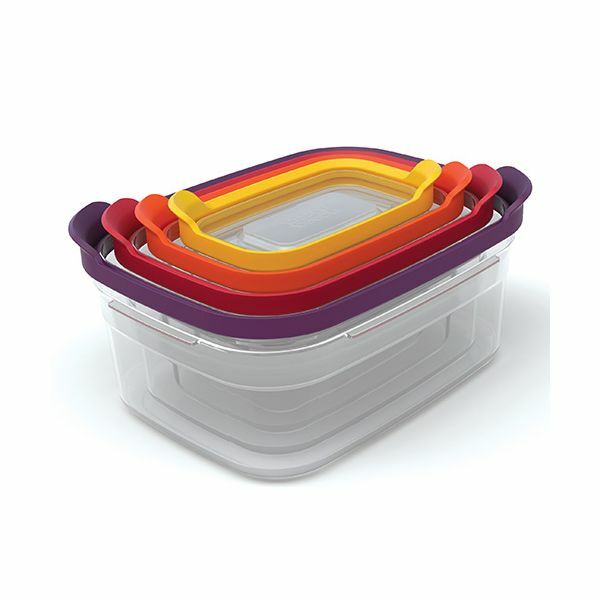 Joseph Joseph Nest Storage is an innovative, space-saving design that neatly combines the bases and lids for various sizes of storage container in the same space as one. 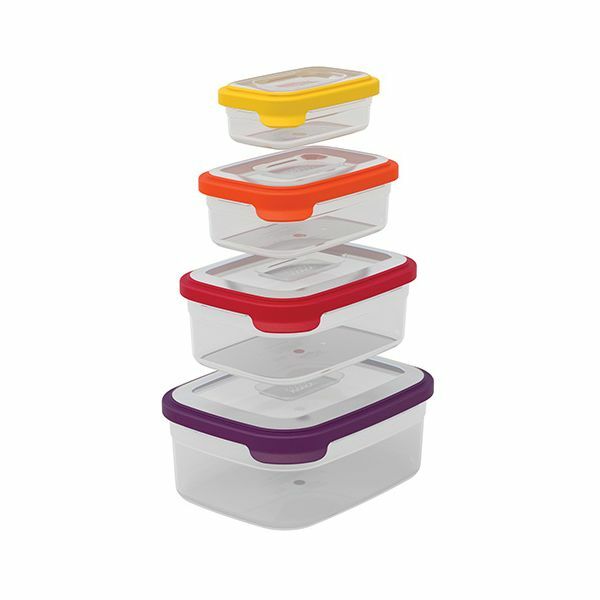 The bases of Joseph Joseph Nest Storage nest neatly inside each other and the lids snap conveniently together making them very easy to find - and all elements are clearly colour-coded for speedy pairing. When closed all containers are airtight.